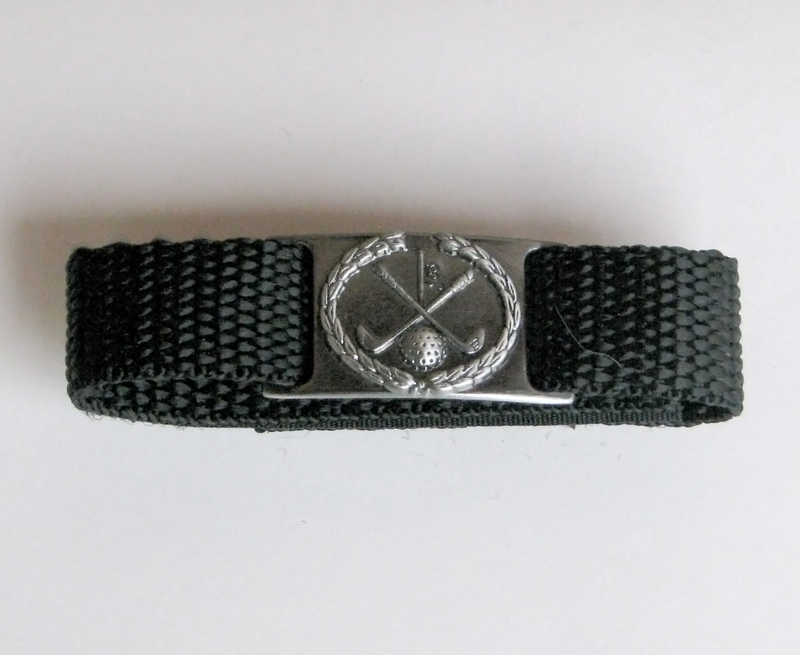 Golf bands are made of nylon and feature a golf imprinted metal slider and a velcro closure. 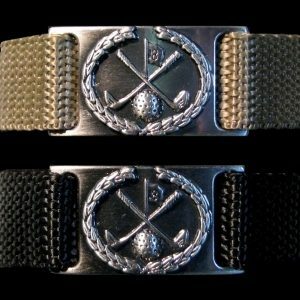 Golf bands are made of nylon and feature a golf imprinted metal slider and a velcro closure. 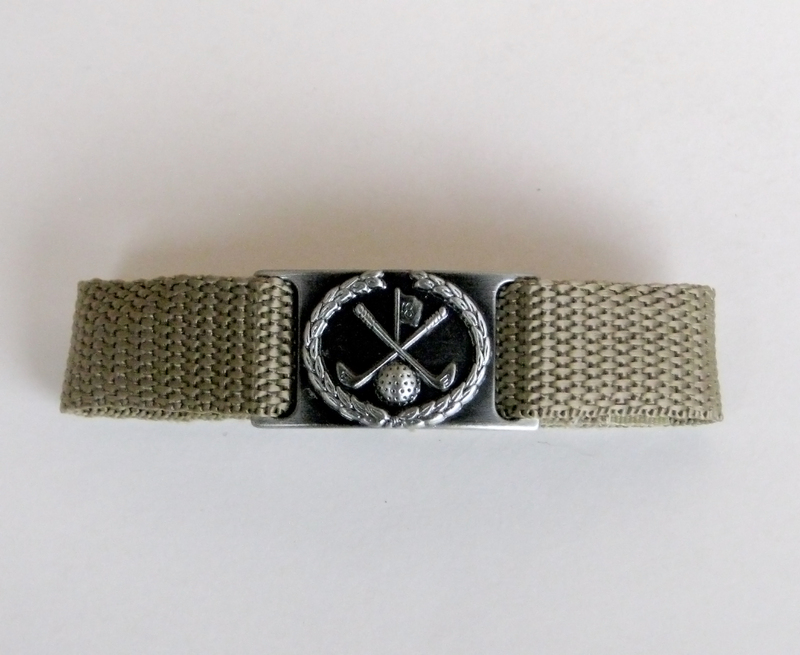 The Golf band is available in black or tan. 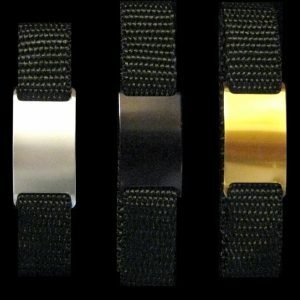 Bands come in 2 sizes, medium which fits 7.5″ to 9.5″ wrists and large which fits 8.5″ to 10.5″ wrists. 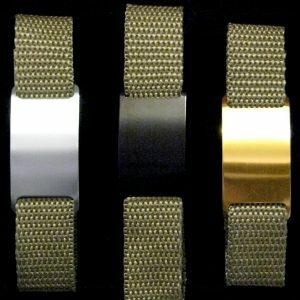 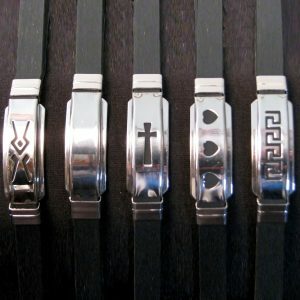 A frequency imprinted metal disk is attached to each band that increases your strength, balance and helps restore your body to a healthy frequency helping you to live pain free.